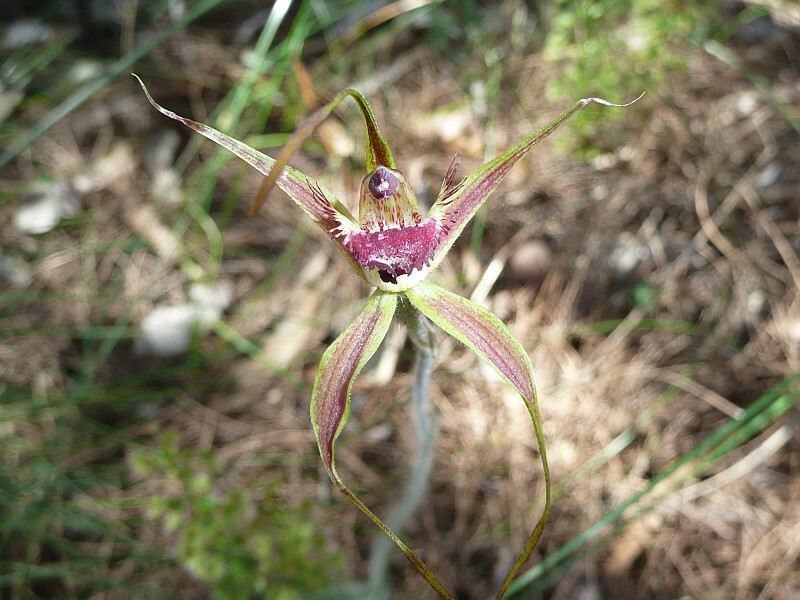 Meaning of name: Caladenia is from the Greek words calos, meaning beautiful, and aden meaning gland. 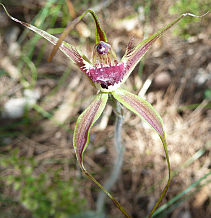 Some species of Caladenia have coloured glands at the base of the column. The column is an organ combining the stamens and style of the flower. Pectinata is from the Latin word pectinatim, meaning in the form of a comb. Distribution: Found in winter-wet areas from Cataby to east of Albany. Description: Single leaf to 30cm. 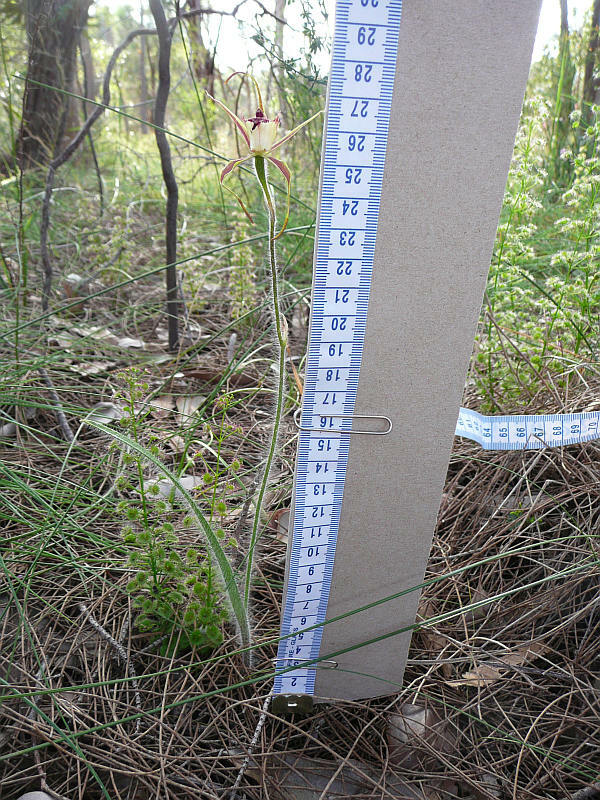 This plant has up to 3 flowers held on a stalk up to 70cm tall during September and October. Notes: This orchid is known to be pollinated by Thynnid Wasps. Orchids of South-West Australia. Noel Hoffman & Andrew Brown. 1992.